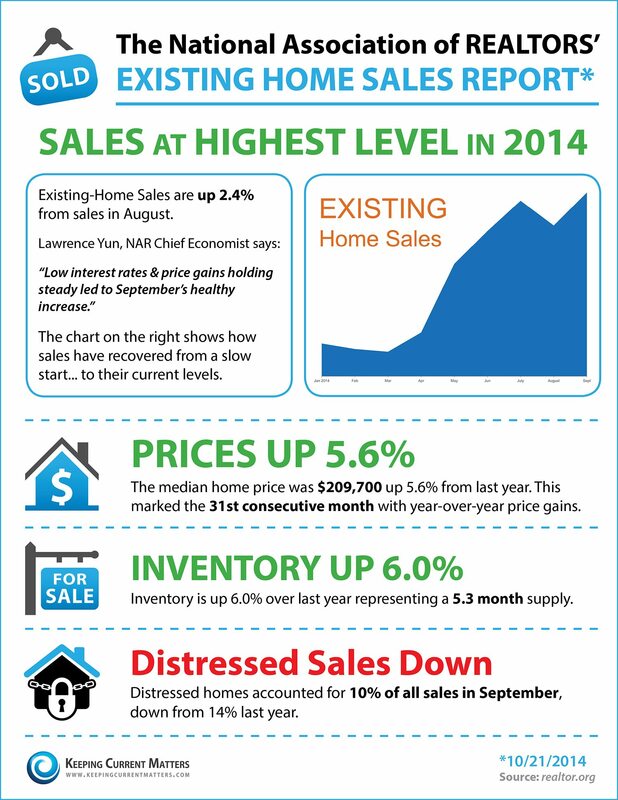 Portsmouth NH Real Estate | Sales up, distressed sales down. Portsmouth NH: According to National Association of REALTORS’ (NAR) statistics Existing home sales reached their highest level of the year in August. NAR Chief Economist says: “Low interest rates & prices gains holding steady led to September’s healthy increase.” The median home price rose 5.6% to $209,700 marking the 31st consecutive month of year over year price gains. If you thinking of buying the New Hampshire Seacoast of southern Maine area you won’t find market conditions any better than they are right now. Visit NHCoastalHomes.com to see all single family homes, condos, and land for sale. Call Ann Cummings or Jim Lee for all your Portsmouth NH and Kittery ME area real estate needs.